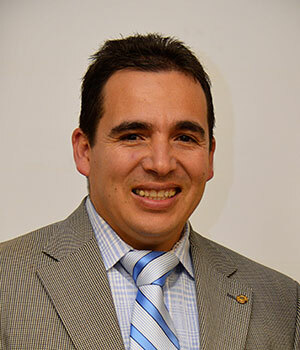 José Antonio Ramírez has been engaged in city management for 14 years and recently decided to open his own consulting firm specializing in Community Development. The name of the firm is Community Development, Inc.
IIn his previous capacity he served as Program Manager, International Affairs Coordinator and Security Engineer and Emergency Management Coordinator for the U.S. Bureau of Reclamation. He’s a Rotary International Scholar, MALDEF alumni, ASPA (American Political Science Association) Fellow, I-LEAD Scholar, McNair Scholar, San Joaquin Valley Civic Leadership Alumni and an American Leadership Forum Alumni, is the Chairman of the Central California Latino Political Action Committee. He served for the San Joaquin River Resource Management board and the Valley Water Alliance Board. He also served as Chairman of the Technical Review Boards for Merced and Fresno County. He currently is the President of the Academia Hispana Foundation, board member for Regenerate California Innovation, Inc., One of four coordinators for the Fresno Partnership and Community Service Chair for the Fresno Latino Rotary Club.